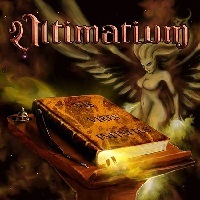 Now, this is as much an album about fantasy and wonder as any Power Metal release, but where many lean on huge choruses and atmospheric effects to increase their presence, ULTIMATIUM brings tight, heavy musicianship and dynamic vocals to the table, more like an American Power Metal band than their European counterparts. Tomi Viiltola comes from the Bruce Dickenson school of Heavy Metal thunder, and even sounds slightly similar to the iconic front man at times as he passionately belts out soaring lines on songs like “C’est La Vie.” Its inspiring tone and aggressive musicianship make for a great opening song, and it starts things off on a strong note for the band. Other tracks make stronger use of keyboards and synths, such as “I Remember” and “New Horizons,” though that gritty tone remains constant. “Departure,” one of the more upbeat songs, starts on a subdued note before breaking into its twinkling piano-backed main riff, then going into a full, shredding solo by Harri Niskanen. The guitarist has a knack for delivering dazzling melodic lines, and he finds a good mix between melody and metallic fury in his playing, whether at he’s playing fast, challenging songs (“Who Stole My Winter?”) or during the slower, heavier jams (“Shine On”). While the album could use another anthemic song or two like “C’est La Vie”, “Vis Vires Infinitus” is still a challenging and awe-inspiring release with its potent instrumental attack, heavy atmosphere and fantastic imagery. Fans of bands like THE ARMADA, ICED EARTH and GAMMA RAY should definitely give this album a look. 5. Who Stole My Winter?